The profession of the tutor is the closest to the profession of a teacher. Both a teacher and a tutor are training their students, generously giving them their knowledge, skills, and education. However, these related professions have some important differences. The first difference is the fact that the teacher works with the whole class and the tutor usually works with one student, at least — with two or three. This is the main advantage of the tutoring. This is why students are looking for tutors, why teachers want their students to have tutors, why parents pay a lot of money for classes. Because of the individual approach to each child. Secondly, the teacher should have special education or at least be in the process of studying at the University. This education gives the right to be called a teacher. The tutor must not be a certified teacher. The main thing – that he/she is able to help the student to learn the subject. Thirdly, the teacher has the plan and even if not all of the students have learned the material, the teacher goes on. Moreover, the school assumes that the material that was studied before, guys know and remember. If the child misunderstood something, missed material due to illness, then that’s his/her problem. The tutor can’t ignore the gaps in student knowledge. He/she should be ready to explain “old” material. Therefore, both the teacher and the tutor are obliged to know the subject perfectly, navigate quickly, keep their knowledge into a coherent system. Unlike teachers, the tutor not only teaches, but he/she organizes a workplace, plans the schedule, that is simultaneously organized and executed their activities. It requires a wider range of knowledge and skills. 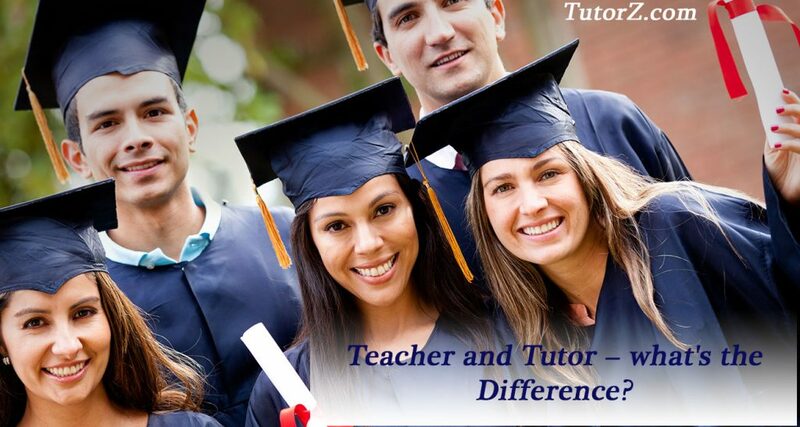 Do you agree with those differences between teachers and Tutors, which I have described? And what do you see as the differences between these professions? Write your opinion in the comments. Use TutorZ.com to find a good tutor to help you prepare for an upcoming tests and read this article to find out how to become a tutor on TutorZ.com! This entry was posted in Tutoring and tagged teacher, trainer and teacher, tutor, tutoring. I guess that tutor is always worried about student’s achievements. He or she has a precise plan how to raise interest to the subject and help the student.